Hungry for a new casino? Then we at Payforit Mobile Casino have a sweet treat for you. Scrummy Casino is a funky and colourful site launched in 2015 through the incredible Cozy Games platform. As well as an array of sweet games, they offer a generous welcome package and lots of regular bonuses. Whether its casino, scratch cards or slots such as Five Pirates and Honey Bees, then Scrummy Casino have you covered. The fact that a number of their games are available on your mobile devices, means that you’ll have a world of entertainment in your pocket. All you need is an Android, iPhone or Tablet device and you can game when and wherever you like. This makes those mundane chores such as walking the dog, or your commute to work much more interesting and hopefully rewarding. The best place to start is with a bonus and at Scrummy Casino when you’re a confirmed new player, you’ll receive £10 in bonus credit no deposit required. So if the pennies are tight it doesn’t matter, you can still enjoy this impressive site and test drive their games. To thank their loyal players Scrummy Casino offers a cash reload bonus on a minimum £10. The percentage you receive will vary depending on the amount of credit added, but would be between 25% and 100%. If you love playing slot games then you can enjoy a 20% cash match bonus on a minimum £10 for your slots spend that day. You can enjoy a £10 Amazon voucher for each friend you refer to Scrummy Casino. They offer a number of banking methods including Credit and Debit Cards, Boku mobile billing, UKash, Paysafe Card and Neteller. 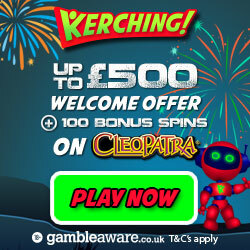 If you’re ready to claim the £10 credit then head over to Scrummy Casino and enjoy!